BMW 4 Series Convertible Performance, Engine, Ride, Handling | What Car? The range comprises three petrol and three diesel engines. The petrol units are the 181bhp four-cylinder 420i and the six-cylinder 430i and 440i, which produce 249bhp and 321bhp respectively. The diesels are the four-cylinder 420d with 187bhp and the six-cylinder 430d (254bhp) and 435d (309bhp). Opt for the last of those and four-wheel drive is standard. BMW’s six-cylinder petrol engines have a reputation for being smooth-running and, sure enough, life is suitably hushed once you’ve got the 430i and 440i up to speed, even when the roof is down. The 420d is quite noisy, especially when revved hard, although this is rarely necessary because it pulls strongly from low revs. And since you're unlikely to be bothered by any of the engines when the roof is up, we'd be tempted to go for the 420d for its lower running costs. Wind noise is kept to a minimum, and while there's some buffeting with the roof down, it's only in the back that it makes life uncomfortable. Road noise is more of an issue. The 4 Series Convertible’s steering is accurate, but the car’s weight means it’s not entirely happy with sudden, rapid changes of direction. It is comfortable, though; even in stiffer M Sport trim, the suspension does a decent job of dealing with road imperfections. The car’s structure is also impressively stiff, so it doesn’t shimmy and shudder too much over scarred surfaces. 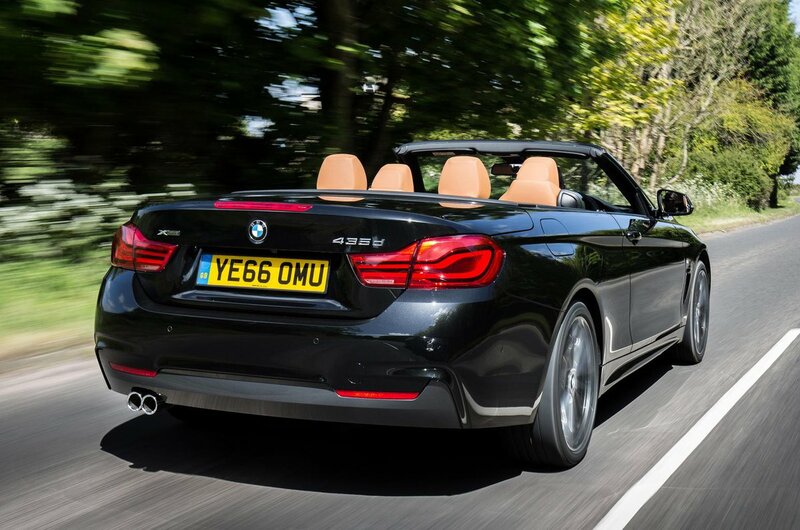 The 4 Series Convertible handles better than the Mercedes-Benz C-Class Cabriolet, but that car is ultimately the more rounded convertible, offering a more relaxing – yet still entertaining – drive. 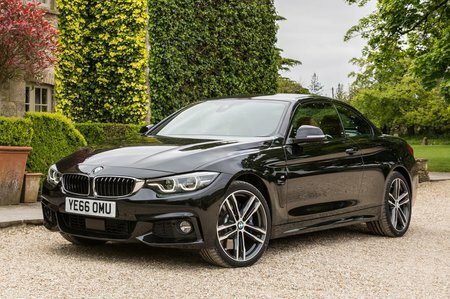 BMW's eight-speed automatic gearbox shifts quickly and in a slick manner, so we’d recommend it over the manual, which has a notchy, long action and is generally not particularly nice to use.